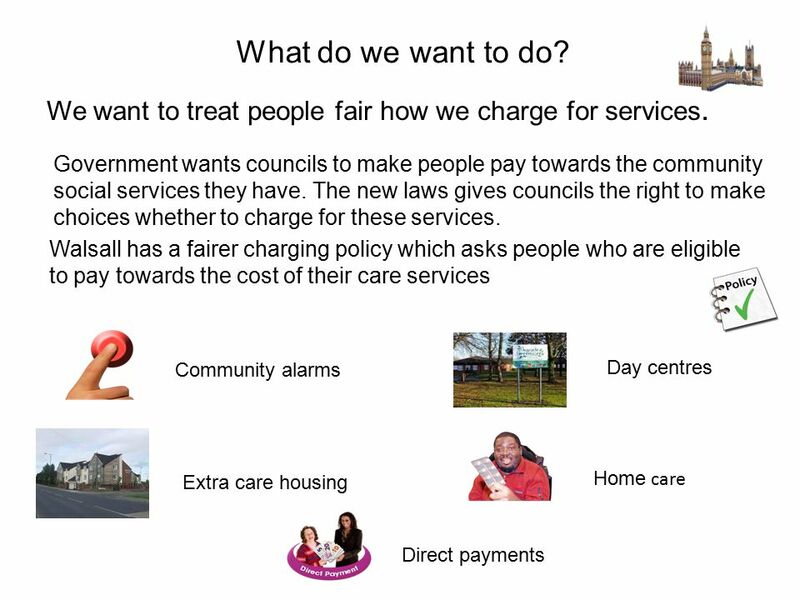 Social Care and Inclusion Talk about charging. 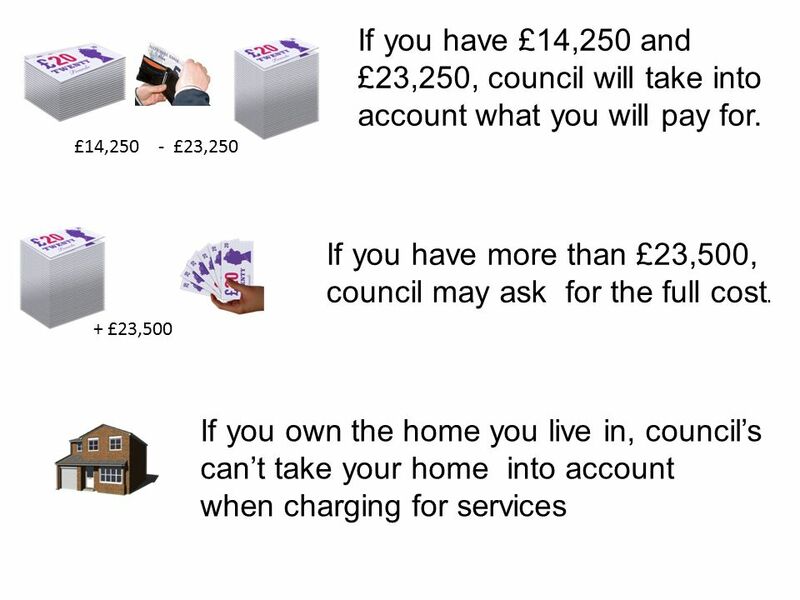 The Council has to make hard decisions Thank you for taking time to talk to us about charging for community. 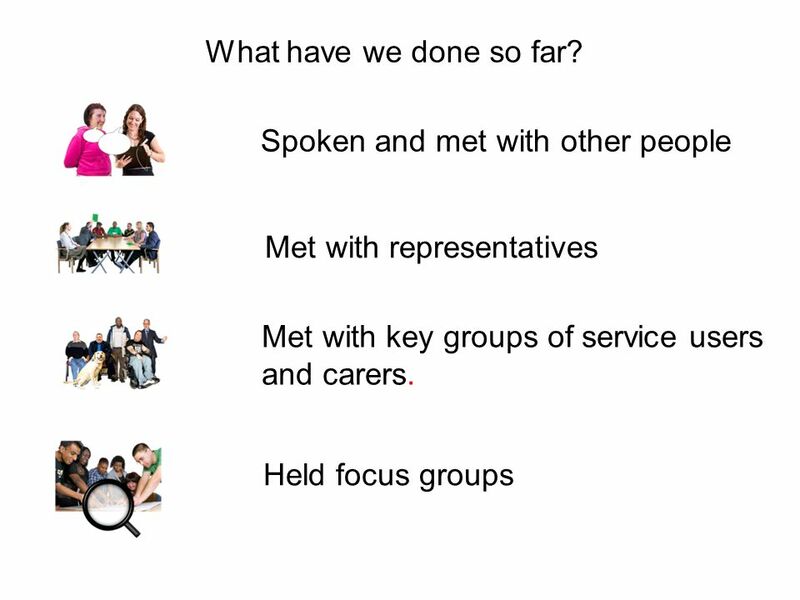 3 We want to carry on supporting vulnerable people This document explains what we are talking about and why, what he have done so far and how you can get involved. 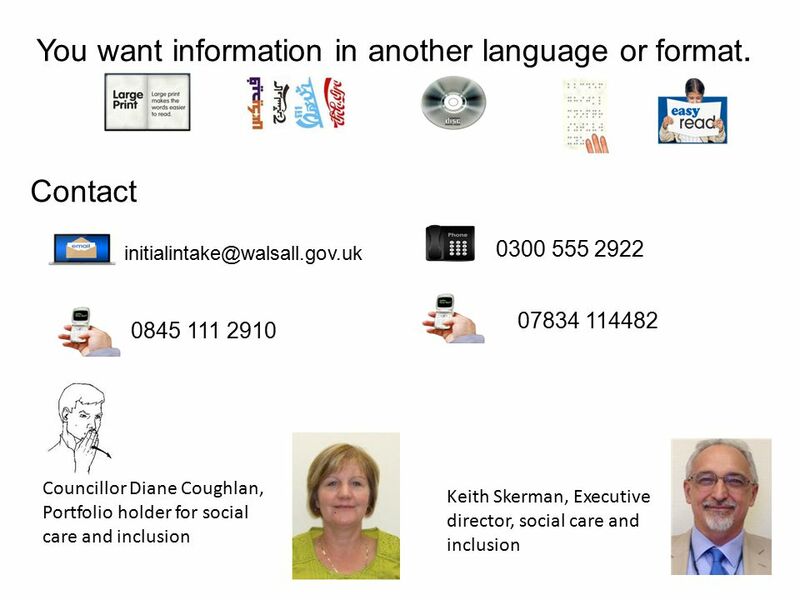 4 Contact us or attend a meeting www.walsall.gov.uk/localconsultation. For more information What do you think about how we charge people ? 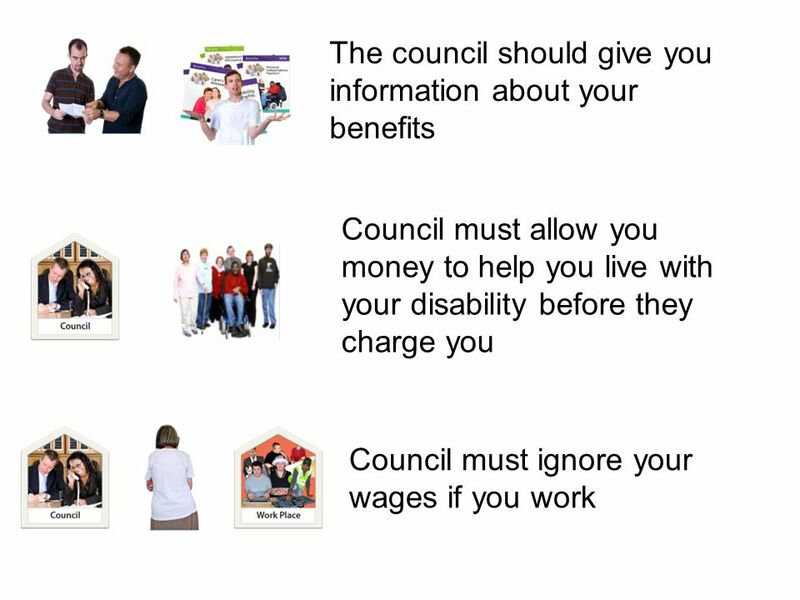 15 Council to make sure you know why you are asked to be pay, and if you don’t understand to find someone to help you understand, it could be an advocate. People wanted to see a fair policy across all groups of people. A easy system to understand assessments, and how to pay. The council must treat everyone the same. 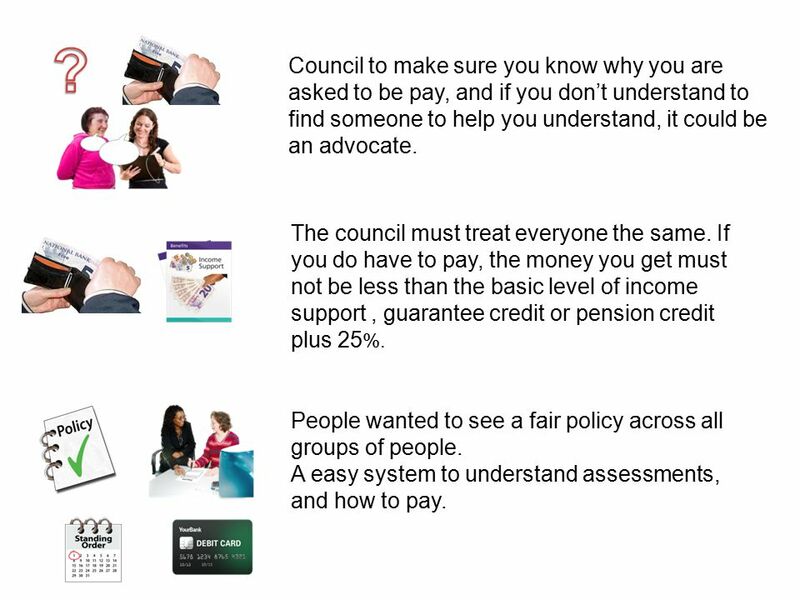 If you do have to pay, the money you get must not be less than the basic level of income support, guarantee credit or pension credit plus 25 %. 16 If a charge is to be made, it would be best to pay from the start. 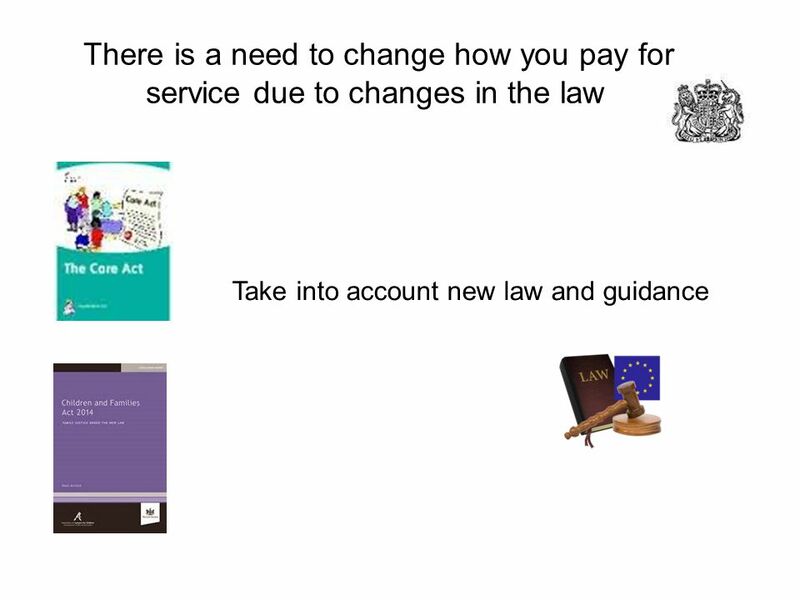 This may stop people from using services Carers being charged: people thought this should be charged for, depending on if they could afford to pay. 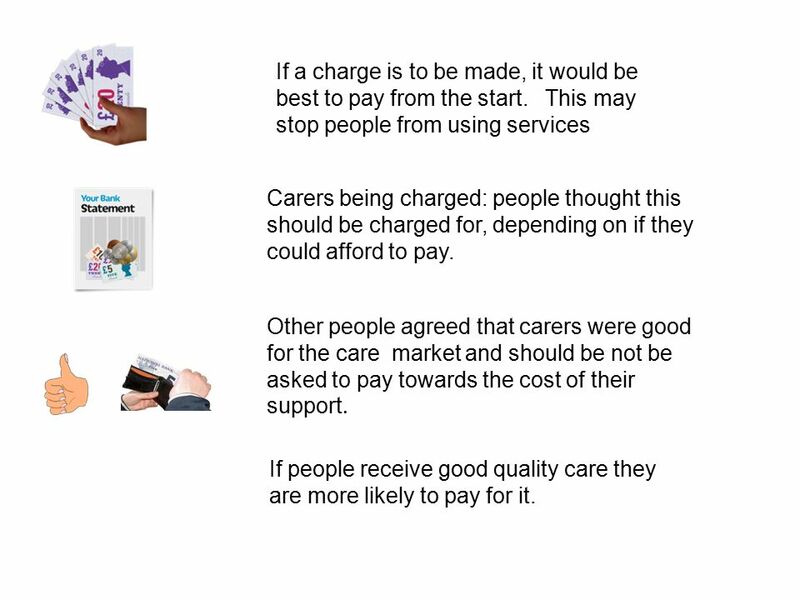 Other people agreed that carers were good for the care market and should be not be asked to pay towards the cost of their support. If people receive good quality care they are more likely to pay for it. 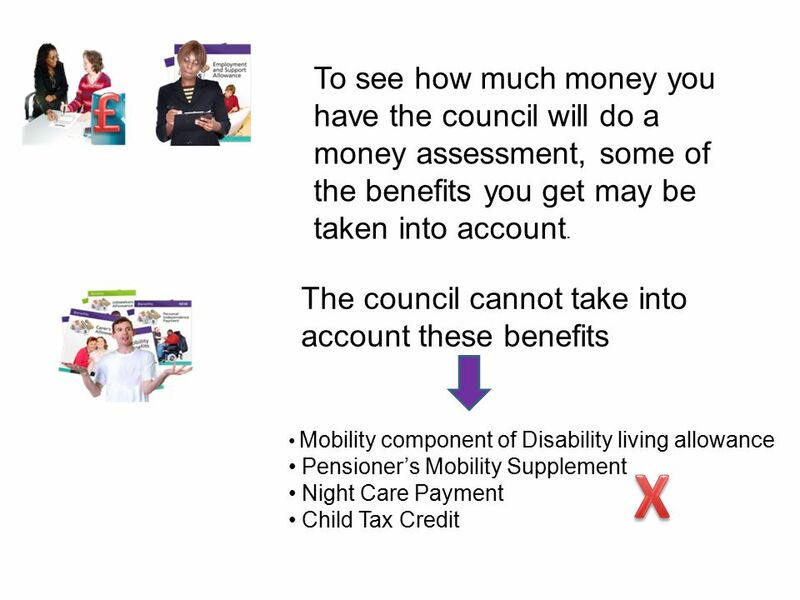 17 Pay for own care More needs to be done to reach who find consultation difficult to understand Under the Care Act and Children and Families Act 2014, local authorities will have new responsibilities Self funders – people who pay for the own care, the council may charge to arrange care on a persons behalf Carers can be assessed and receive support in their own right, and could have to pay for these services. 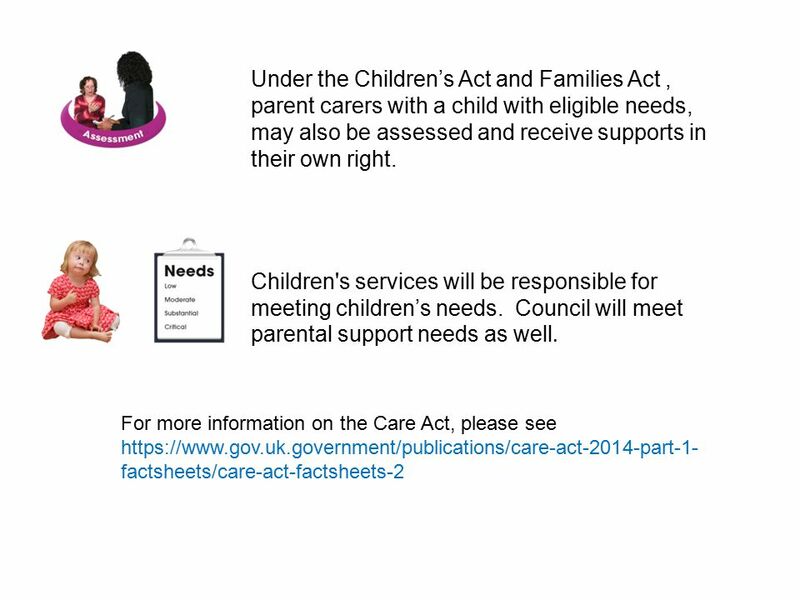 18 For more information on the Care Act, please see https://www.gov.uk.government/publications/care-act-2014-part-1- factsheets/care-act-factsheets-2 Under the Children’s Act and Families Act, parent carers with a child with eligible needs, may also be assessed and receive supports in their own right. Children's services will be responsible for meeting children’s needs. Council will meet parental support needs as well. 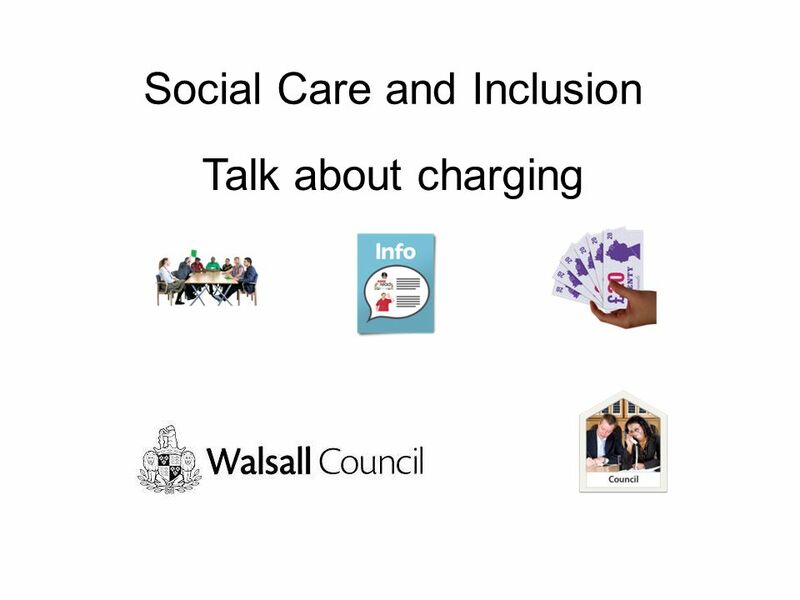 Download ppt "Social Care and Inclusion Talk about charging. 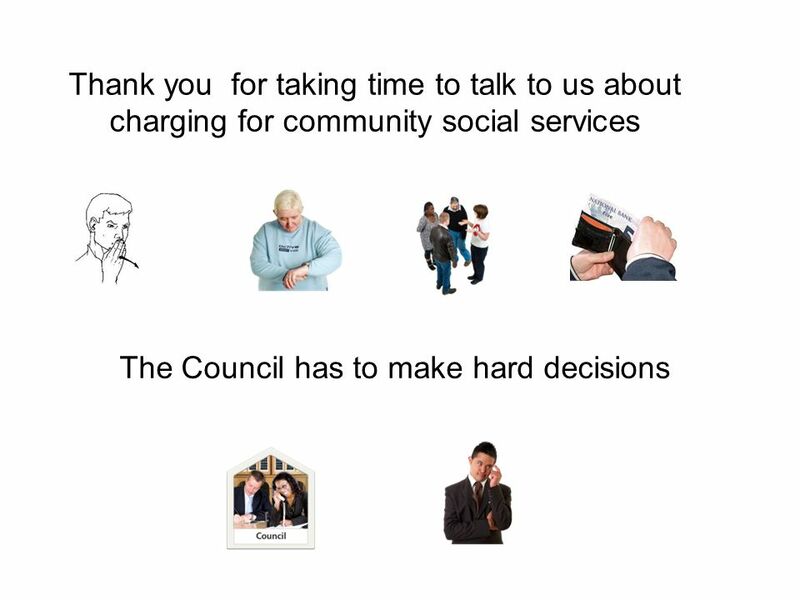 The Council has to make hard decisions Thank you for taking time to talk to us about charging for community." 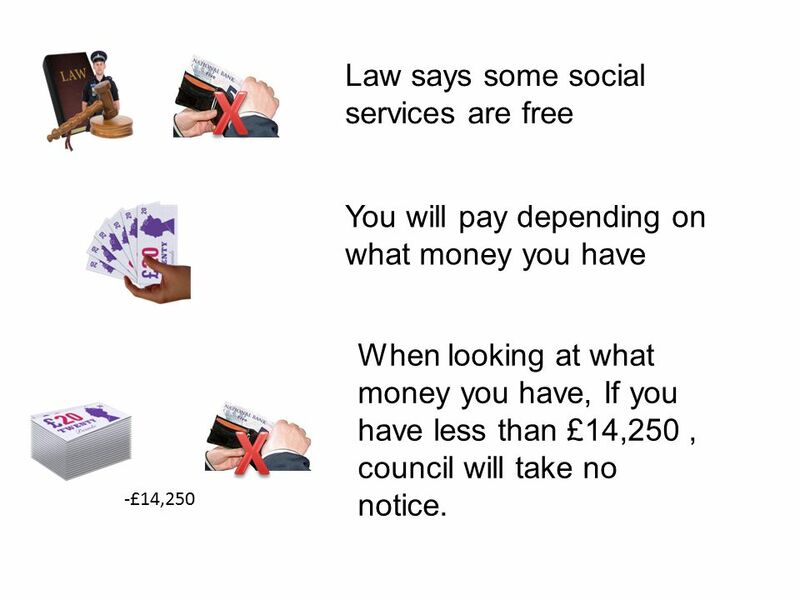 This is a guide to how Adults and Communities charge for some of their care services. 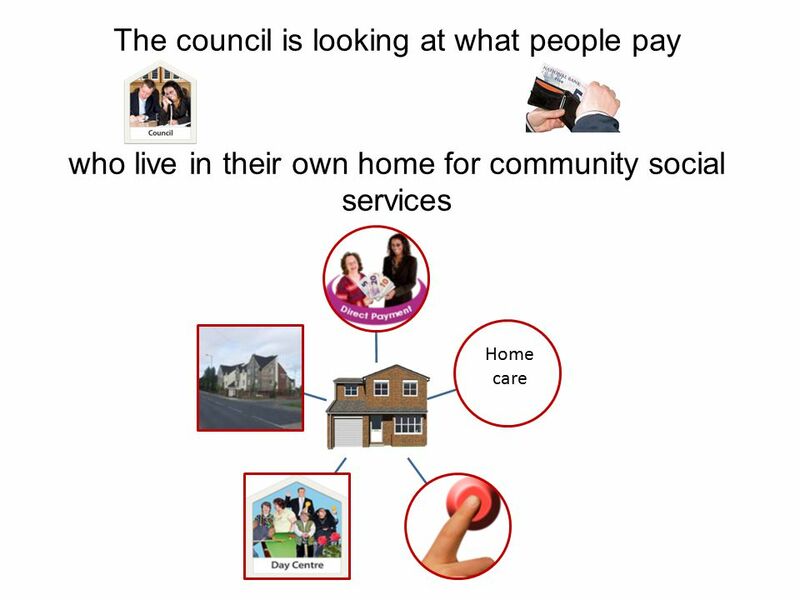 These services are called Non Residential Care Services. These are. 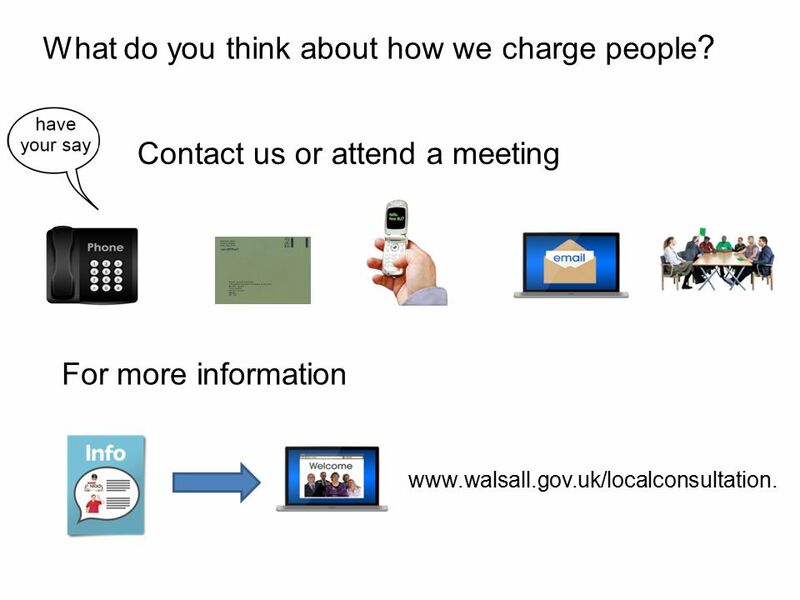 FAIRER CHARGING CONSULTATION 28 th May – 26 th August 2012 LINSEY VINCENT – Project Manager EDD TILLEN – Consultation Support Officer. HB Changes – Social sector size criteria Mark Ransom Assessment Manager. Valuing People Now: From Progress to Transformation What it says - the main points. 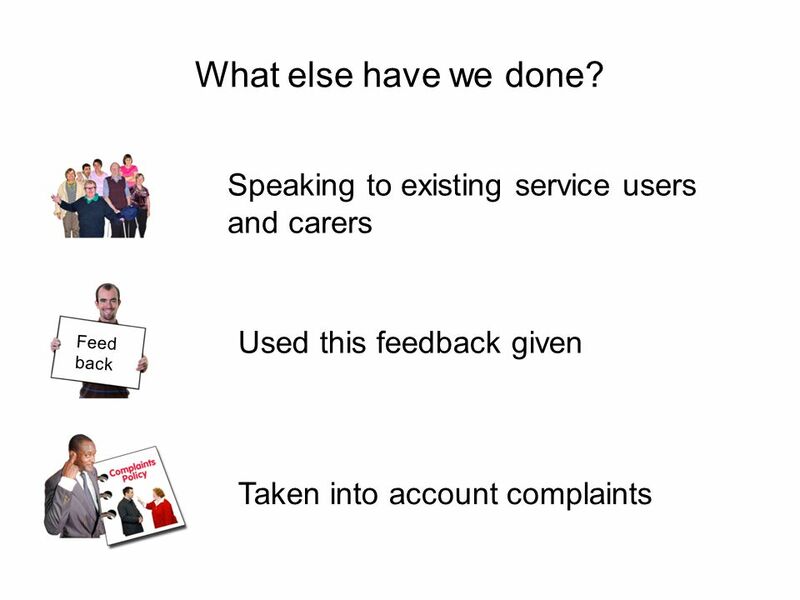 The Care Act 2014 Reforming Care and Support Overview Vicky Smith Head of Policy and Strategic Development. Children and Families Bill SEND Reforms: Implications and Impacts for voluntary organisations in Southwark. Valuing People Now Annual Review on 23 April 09 Presentation by Berge Kanikanian & David Cooper. Including people with learning disabilities in the National Confidential Forum Angela Henderson Scottish Consortium for Learning Disability. GETTING IT RIGHT GUIDE What families need to know Carole Haynes Angela Cole. 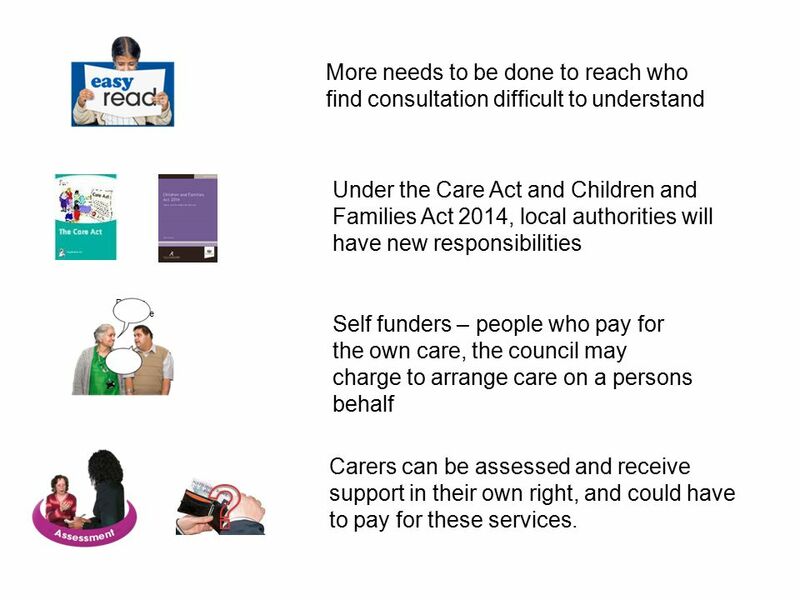 Hampshire Children’s Services Personalisation and Personal Budgets Pilot A Parent and Carer Guide. Workshops for Children’s Centre Managers Support available from the Money Advice Unit (MAU) for families making the transition into. Care Act 2014 Lewisham Health and Social Care Forum Aileen Buckton Executive Director for Community Services.